This proclamation did not come as a surprise. 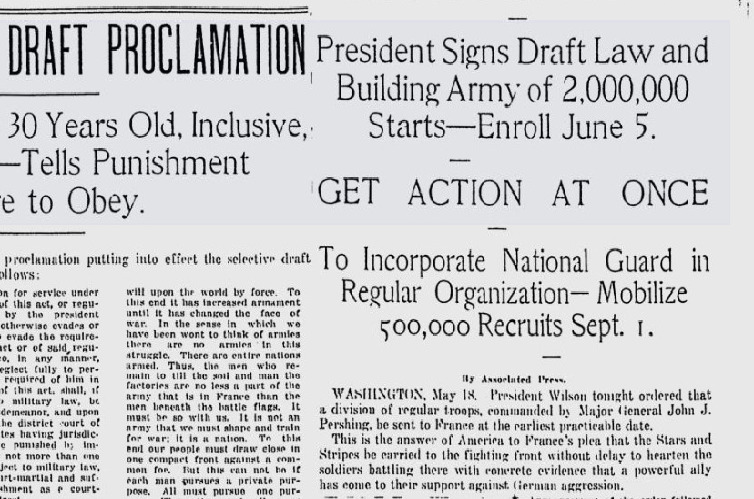 Ever since war was declared, it was assumed that some sort of draft would be implemented. From the flood beat: The Spokane River dropped just enough (two inches) to provide relief from the threat of flooding. The two bridges that were imperiled the day before, and the city’s water mains were spared disaster. However, a mining man from Mullan, Idaho, went up to the summit of the Bitterroots and reported that “there were two to 10 feet of snow yet to go.” He said that people should be prepared for the fact that the higher water would continue for a while. “I shall be agreeably surprised if there is not a foot more water this year than ever before known,” said the man.